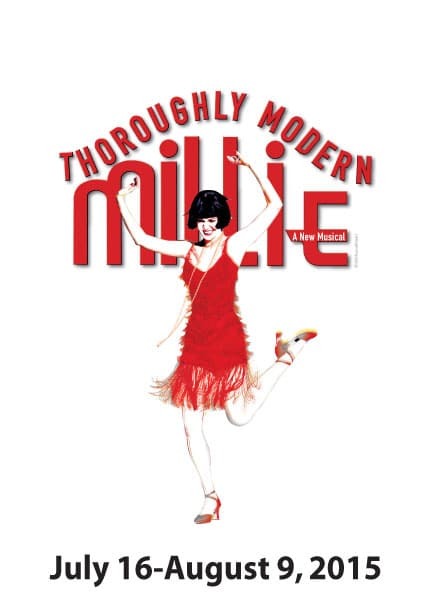 THOROUGHLY MODERN MILLIE takes you back to the height of the Jazz Age in New York City, when "moderns" - including a flapper named Millie Dillmount - were bobbing their hair, raising their hemlines, entering the workforce, and rewriting the rules of love. This high-spirited musical romp is filled with jazzy music, flappers and explosive tap dancing! Based on the popular movie, the stage version of THOROUGHLY MODERN MILLIE includes a full score of great songs and bright dance numbers.